Linda J. Conrad is a Certified Appellate Specialist,certified by The State Bar of California Board of Legal Specialization. She represents parties in appeals, writs, and mediations in the California Court of Appeals and the California Supreme Court. She also assists trial counsel with motions for summary judgment. Her practice includes personal injury, construction and CEQA matters, employment, real estate, business, collection, banking, and family matters, including property, support, custody and UCCJEA disputes. Ms. Conrad is a mediator on the mediation panel of the Court of Appeal, Third Appellate District. She is a member of and past officer of the Appellate Section of the Sacramento County Bar Association (www.sacbar.org), acting immediate past president of California Appellate Defense Counsel (www.cadc.net), past president and Legal/Legislative Chair of the HomeSchool Association of California (www.hsc.org), and a member of Capitol City Trial Lawyers Association (www.cctla.com). 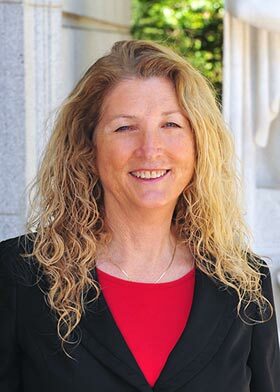 Ms. Conrad has over thirty-seven years of a unique and diverse practice as a trial attorney, appellate specialist, and mediator throughout northern and central California. Her past clients include insurance companies, small businesses, small private schools, individuals involved in car accidents, homeschoolers, and individuals involved in education, complex family law, and custody issues. She also served on the board of directors of various legal and non-profit organizations. Ms. Conrad graduated from California Western School of Law in San Diego, California and was licensed to practice law in 1978. While in law school, Ms. Conrad was Lead Articles Editor of California Western Law Review. Her article, Stone v. Powell, The Evisceration of the Exclusionary Rule, was published in 1978. Ms. Conrad began her career in 1978 in the Kern County Counsel’s office. She then became a litigator with the Law Offices of King, Eyherabide, Anspach, Friedman and Robinson in Bakersfield, Kern County, California. She represented insured individuals in auto collision and construction disputes. Ms. Conrad worked on several cases involving multi-car accidents that occurred in Kern County during dust and smoke storms, and in the area known as the “Grapevine” on Interstate 5. She also worked on a lawsuit over the roof failure of a large fruit shed. While in Kern County, Ms. Conrad was a founding member and second president of Kern County Women Lawyers Association (www.kcwla.org) and an affiliate representative to California Women Lawyers (www.cwl.org). Ms. Conrad was on the Board of Directors of the Kern County Bar Association (www.kernbar.org). In July 1981, Ms. Conrad successfully completed the week-long Insurance Counsel Trial Academy sponsored by the International Association of Insurance Counsel in Boulder, Colorado. After Ms. Conrad married law school classmate and fellow attorney Mike Jansen in 1980 and their daughter was born in 1982, the family moved with their young daughter (now an attorney with the California Attorney General’s office, civil division) to the Sacramento area in 1982. Ms. Conrad opened law offices first in Sacramento and then in Woodland, California. Ms. Conrad continued her litigation practice and represented individuals and businesses in business, injury, and insurance disputes. In 1985, the growing family moved to Redding, Shasta County, California, where Ms. Conrad continued to handle business litigation, insurance disputes and personal injury cases. She also expanded her practice into the area of family law, representing individuals in property and custody disputes and representing children in family matters. While in Shasta County, Ms. Conrad served on the Board of Directors of the Shasta-Trinity County Bar Association. In 1990, Ms. Conrad began working with non-profit organizations. In 1998, the family, which now included four children, returned to Yolo County and settled in Davis, California. Ms. Conrad served on the board of directors as legal/legislative chair and then president of the HomeSchool Association of California (www.hsc.org). Ms. Conrad provided legal services to the homeschooling community and represented homeschoolers in setting up private schools and in their disputes with school districts. Ms. Conrad also represented a homeschooling family on a writ petition in the Court of Appeal and in a successful civil rights case filed in the Federal District Court in San Francisco. In June 2001, Ms. Conrad limited her practice to civil and family law appeals. Ms. Conrad’s colleagues have referred civil and family appeals to her and she assists them in preparing for trial as well as preparing and opposing complex motions including motions for summary judgment. Ms. Conrad is appointed in dependency, guardianship and adoption appeals by the California Court of Appeal, First, Third and Fifth Districts, through the statewide appellate projects (www.ccentral.org and www.fdap.org). In 2003, Ms. Conrad was elected to the board of directors of California Appellate Defense Counsel (www.cadc.net) and she served as president from 2011-2013. She continues to serve as acting immediate past president. In 2007, Ms. Conrad trained as a mediator with Dana Curtis Mediation (www.danacurtismediation.com) through the Court of Appeal, Third Appellate District and joined the appellate mediation panel of the Third District Court of Appeal (www.courts.ca.gov/3dca.htm). In 2009, Ms. Conrad became a certified appellate specialist, certified by The State Bar of California Board of Legal Specialization in civil appeals. In 2010, Ms. Conrad trained with the Strauss Institute for Dispute Resolution (www.pepperdine.edu/straus/) and she now handles mediations at all stages of litigation. Ms. Conrad is a member of the Yolo County Bar Association (www.yolobar.com), Sacramento County Bar Association (www.sacbar.org), California Appellate Defense Counsel (www.cadc.net), Women Lawyers of Sacramento (www.womenlawyers-sacramento-org), and Capitol City Trial Lawyers Association (www.cctla.com).